I’m trying to capture my initial notes and reactions to Amazon’s contact center offering. In this blog I’m going to focus solely on their flow designer tool. I’ll provide a brief overview of the tool, some best practices I’ve come up with, as well as some things I wish were different. Remember that I come from the Cisco contact center world, so my view is slightly tainted and what I’ve lived and loved has been the Cisco tools. 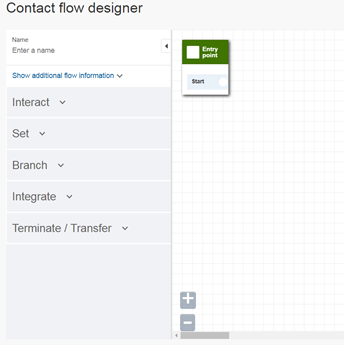 Amazon Connect provides a web based call flow tool called flow designer. Those of you familiar with ICM Script Editor and CVP Studio will feel at home. Below is one of the flows I’ve created. Note that the designer allows you to snap steps or what Amazon calls “action blocks” into the grid for cleaner looking flows. In the left hand side of the designer is your “palette” you can find an explanation of each action block here. Building your first flow is truly easy and requires very little technical knowledge. The Play prompt block allows both playing audio files as well as text-to-speech (TTS) in a variety of voices and languages. Setting a queue and building a queue is just as easy. Now a few items which bother me about contact flow as well as some best practices I’ve found. I touched on a few of these in my earlier post. DO NOT hit the back button or navigate away from the flow designer without saving. There is no auto save! You can’t copy and paste a block. You must build a block from scratch every time. I keep a file with Lambda names and variables I’m using for easy copy/paste. You can’t have the block properties of multiple blocks open at the same time. There is no move of multiple blocks. You must move each one at a time. Build your flow strictly with TTS and only add audio files once you’re happy with the product. If you’re using dynamic speech you’ll have a better sense of what the audio files need to say. Plan your error conditions flow early. This is important when handling error/default/timeout from menus, but applies across multiple different types of blocks. You should come up with a few standard error correction flows and branch out all your error conditions appropriately based on where you are in the flow. This will also avoid a spider web flow. No easy way to get from flow to flow. Once you’re in the designer, you click the back button in your browser or go through the main menu to jump to another flow. Ideally Amazon provides a drop down in the designer to switch between flows to save a few clicks. No infinite scroll. Specifically you can’t scroll and build your flow up or to the left. 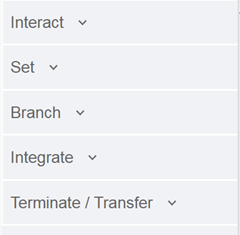 This means that you should think of starting your flows somewhere in the middle of your screen to give you a bit of real estate for last minutes changes/branches. When you create a new flow Amazon “conveniently” starts you off like in the left image, but you should move your fist block off to the right a bit, like right image. 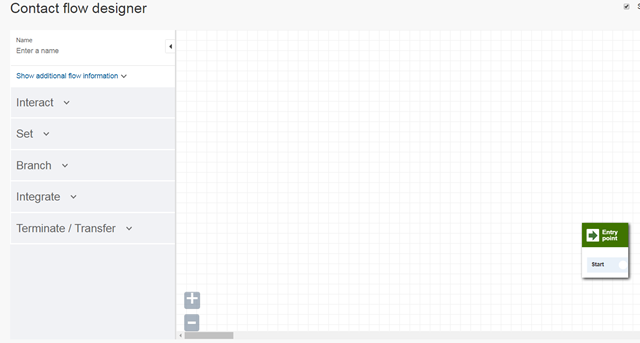 Also make sure you immediately enable “Snap to grid” for cleaner looking flows. You are able to move blocks behind the unmovable left hand margin. The only reason I discovered this is because I wanted to add a log block and didn’t want to pile up blocks on top of each other. You need to be aware of where your lines are going and try to avoid overlap and tight spaces, specially when using the Get customer input block. Trying to modify a line in the middle of the block can be difficult and will require for you to delete other lines to get to the line you want to delete or modify. DO NOT hit the back button or navigate away from the flow designer without saving. There is no auto save! Yes, it’s a repeat, happened to me multiple times. When saving a flow or publishing a flow you get the same confirmation. It would be nice to be reminded what was the last action you took for those of us who are jumping from screen to screen. If you don’t know what Amazon Connect is and you’re in the contact center world, you might want to consider a new career path. Amazon Connect is AWS’s answer to the Ciscos, Genesys, Avayas of the world. Not only that, but also a competitor for Twilio, Microsoft, and anyone who carries voice from point A to point B. Needless to say, when the Amazon giant moves everyone pays attention. A lot of these are just a brain dump so pardon the brevity. I’m still trying to dig a bit deeper and come up with specific ideas to blog specially comparing Amazon’s solutions with Cisco’s offering(s). – Agent logs are in JSON format, holy crap that’s awesome! – Hours of operations are available out of the box and are granular to the minute. Ability to add exceptions for the same day is a nice touch. – If you associate an email with your agent your agent can reset their own password. – Can’t change agent state while reserved or talking. – If you use a desk phone, you can’t reject the call. – Changes take about a minute or two to propagate and there’s no notification if your changes are live or not. – If you create a new agent and then login as that agent using the same browser as before your admin session will be moved over to the new agent credentials. Painful when trying to test permissions on agents. – You can’t re-route a connector by clicking on the start point, you must first delete the existing line and then create your new connector. – Every step should have a Lambda invocation option. This would make the scripting a lot cleaner. – If you reject a call and you’re the only agent you’re automatically set back to ready. Queue must be drained before last agent can change states out of available. – No default routing? I disabled the only queue and calls just dropped when I tried to route to that queue. You would think that the system would force some sort of default routing option just in case you make a mistake. – Contact flow editor, no easy way to get back to all your contact flows. – Agent auto accept takes about 12 seconds to trigger using softphone, this would impact agent stats and I really don’t see the point of having this feature if it’s going to take this long to connect an agent. 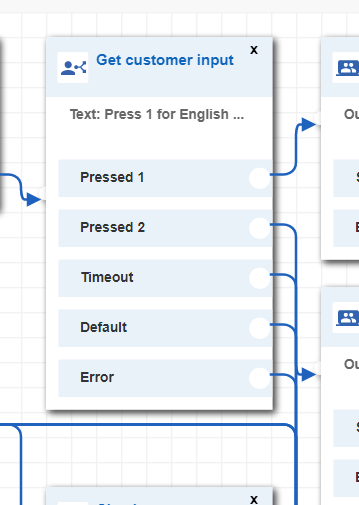 – When you save or publish a contact flow you get the same message "Contact flow saved successfully!" Different message for publish would be nice. – No easy way to move the whole script. Work area should have infinite scroll to all sides. – You can’t select multiple nodes and move them, you must move one by one. – Flows don’t auto save drafts, if for some reason you don’t remember to save you’re SOL. – How draft flows and published flows are handled is confusing. Not very user friendly. – Checking contact attributes doesn’t offer a NULL or NOT NULL condition check. – When a connector goes behind a flow node, you can’t delete the connector. – No way to duplicate nodes. You must configure a new node from scratch every time. 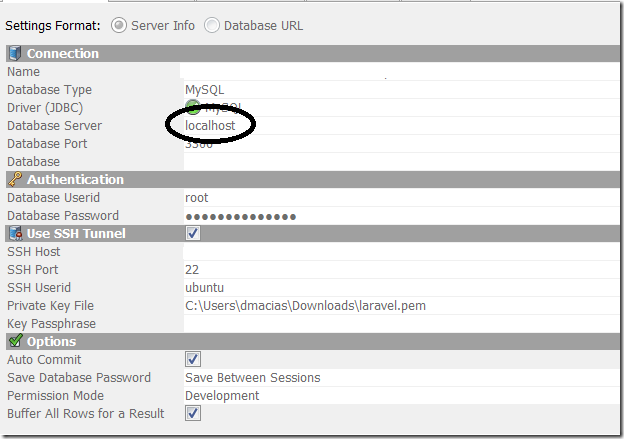 Turns out I had to set my Database Server to localhost and not to the address of the EC2 instance.